The great American West offers forlorn industrial scenes as well as beautiful natural ones. My wife and artist-colleague Melody talks on a cell phone last year in a storage facility near the Sun City retirement community in Phoenix Arizona. We were here to check on things belonging to Melody’s aged aunt in one of the cubicles. How many treasured belongings of how many retired and dead people are stored here? 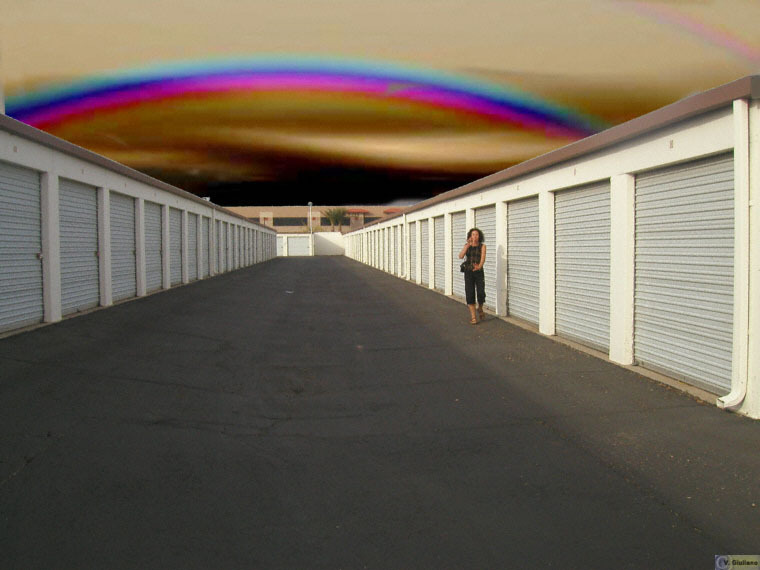 The fractal-generated sky and rainbow arch over the stark perspective of the buildings.